Width Adjustment Range Choose an option22 in. - 25 in.25 in. - 28 in.28 in. - 31 in.31 in. - 34 in.34 in. - 37 in.37 in. - 40 in.40 in. - 43 in. 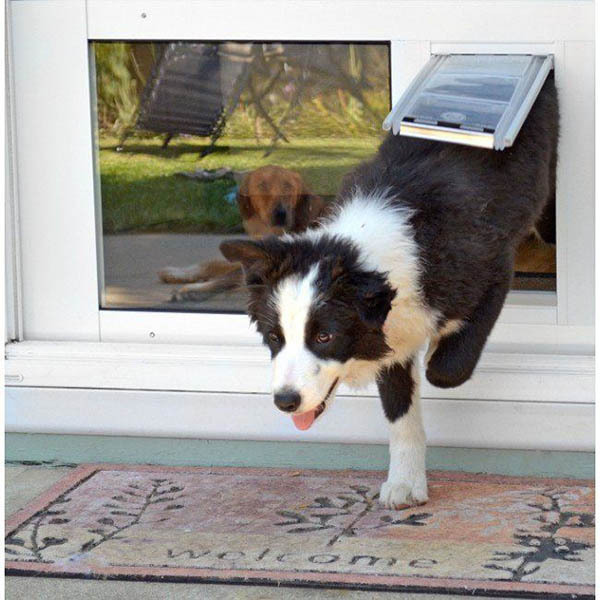 Pet Door Products makes life easier for pet owners by providing a cat door window insert that fits right into existing sash windows. This means that pet owners can begin enjoying benefits of their dogs and cats being able to let themselves out at all times of the day and night. All Extra Large and 22″-25″ adjustment range sales are final, no return. Please simulate the opening (open the window, use duct tape to simulate the opening) to be sure this size is appropriate before ordering.